If you are looking for after builders cleaning services for your residential property, you can use Cleaners London and we are available from Monday to Sunday in every part of London. We work in accordance with environmental and regulatory standards. 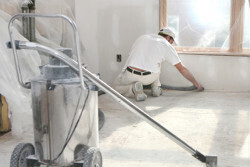 We are providing professional after builders cleaning! Very happy with the job your cleaners done, all the rooms at home were perfectly cleaned. We can take the stress away by cleaning the premises for you, removing all plaster remains, paint stains and general clutter. We cover all parts of London. Our professional services are available for you every day of the week, including weekends and bank holidays. The special offer of 10% off the regular price is valid in April and applies to all services, listed below. Book Your After Builders Cleaners Now! If you have just finished repairs or home extension project and your house is a big mess, let our professional after builders cleaners come and tackle the problem. The only thing you will need to do is to call us now and you will receive a quote straight over the phone: 020 3475 8344.